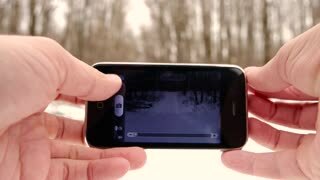 Hand holding smart phone take a photo at forest in winter. Mans hand holding a smart phone with green screen on underground train station. Close up. Chroma key. Close up shot of man hands holding the smart phone with green screen on the city srteet background. Chroma key. 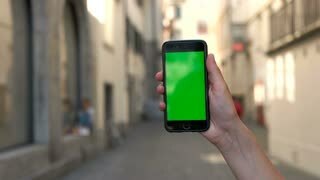 Man hands holding smart phone with green screen on the city background when people walking throught the street. Cute brother and sister enjoying smart phone at home. 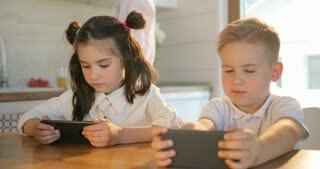 Child girl and boy playing with a digital tablet. 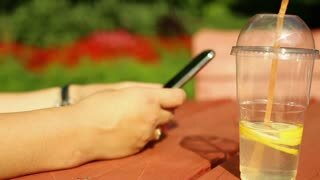 A smart phone holding, watching in hand children.